Jim is an independant, California DRE Licensed Broker, serving both Buyers and Sellers in the Southern California inland foothill cities of: Alta Loma, Fontana, East Highland Ranch, Highland, Rancho Cucamonga, and San Bernardino. Welcome to my site! 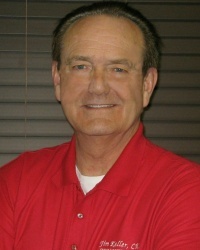 You can always trust Jim to provide you with fast and accurate realty services. Please browse this site to find homes and information, help with moving and other services or just to research neighborhoods! If you are a buyer, send Jim an e-mail and request to be included in his e-zine Market Watch home shopping newsletter. Please feel free to browse through this site to explore the San Bernardino County communities of San Bernardino, Highland, East Highland Ranch, Rialto, Fontana, Alta Loma, Redlands, Loma Linda, Grand Terrace, Colton, Bloomington, Yucaipa, Beaumont and Banning. This comprehensive online tool offers direct access to the latest properties for sale in your area. Featuring extensive community information, consumer links, school information, free reports, answers to commonly asked real estate questions, and more. YouÂ´ll find everything about real estate within one easy source. For buyers, I search until you select the perfect property and then negotiate the best possible price. Nothing satisfies me more than seeing the smiles that come with a successful sale or the purchase of a lifetime. Thanks again for choosing Jim Keller, CRS as your on-line real estate source. Jim is a By Referral OnlyÂ® realty services provider... see what it means to YOU!